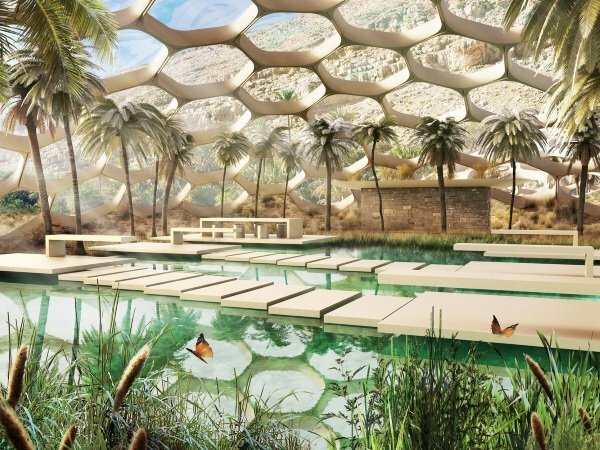 The Biodomes is a wildlife conservation center and ecotourism project powered by 100% clean renewable energy located in the UAE’s breathtaking Al-Hajar Mountains. Mention an impressive development project in the oil-rich United Arab Emirates (UAE for short) and most folks will assume it’s yet one more record-breaking skyscraper. 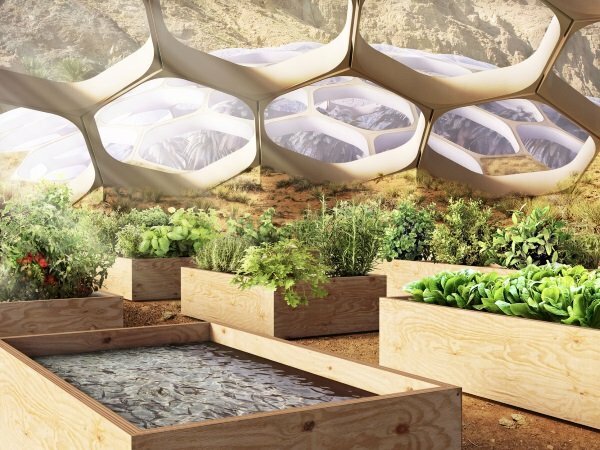 Not this time: “The Biodomes” wildlife conservation center lets the UAE’s Al-Hajar Mountains take care of height issues while focusing on ground-level concerns such as the maintenance of biodiversity, management of sustainable ecotourism, and proving the feasibility of alternative power sources in challenging environments. 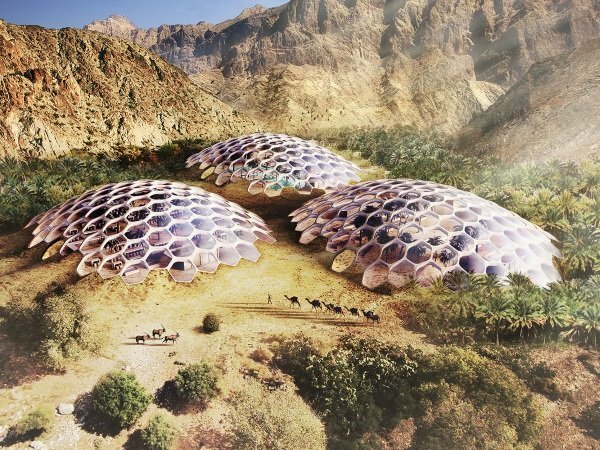 The Biodomes was conceived by Baharash Architecture, an award-winning international design studio with offices in London (UK), Dubai, and Abu Dhabi. 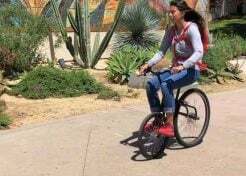 The purpose of the Center is twofold: establishing ecotourism facilities centered on wildlife conservation center and the creation of an adventure-based wilderness retreat. 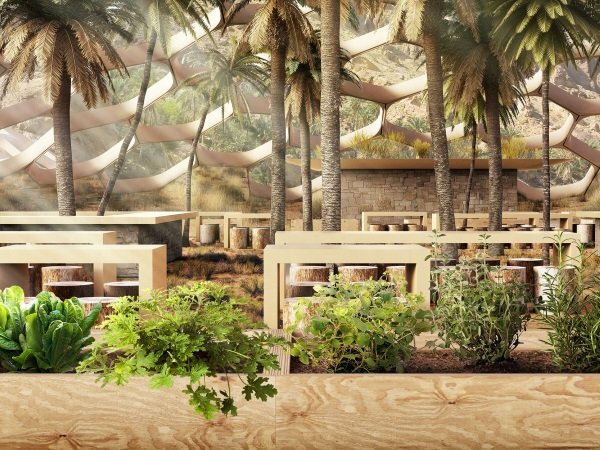 Taken as a whole, The Biodomes will help to raise awareness of the importance of mountain biodiversity through education, entertainment, experience. 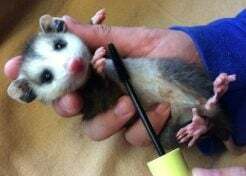 There’s no doubt such a facility is essential to the region’s ecology moving forward. “By 2021 United Arab Emirates is expected to attract 45 million visitors, some of which will be looking to visit UAE’s stunning mountains,” according to Baharash Architecture. Past experience has shown, however, that uncontrolled conventional tourism can cause irreparable harm to these natural areas. Human activity resulting in pollution and soil erosion puts pressure on these natural habitats and the endangered species that rely on them.